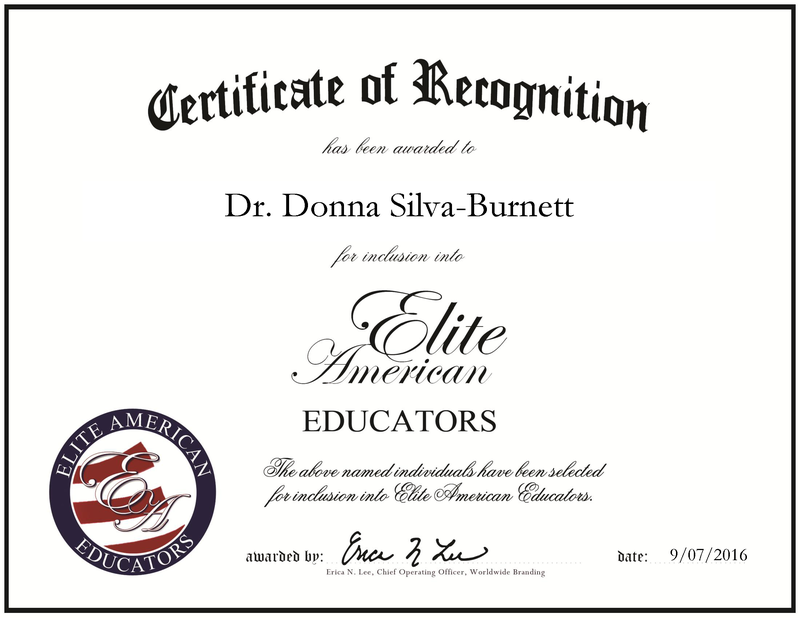 Wilkes Barre, PA, September 7, 2016, Dr. Donna Silva-Burnett, School Administrator at Conerly Road School, has been recognized by Elite American Educators, for dedication, achievement and leadership in education management. Since joining the school more than a decade ago, Dr. Silva-Burnett has helped the school grow to become an institution of excellence. 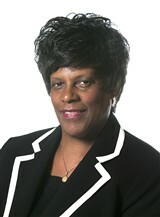 As the principal of the school, she ensures the students educational and development needs are met. With a background in guidance and counseling, she is able to offer tremendous services as a leader. She has worked in the Franklin Township Public Schools district for some time, and throughout her tenure has served in the capacity as assistant principal for the elementary, middle and high schools. Driven by seeing the success of her former students, Dr. Silva-Burnett stands as an example to other educators on how to be a good leader. In order to make a difference in the lives of young students, Dr. Silva-Burnett earned a master’s degree from Kean University before attending Walden University for a Ph.D. in educational leadership and philosophy. She maintains membership with the American Association for School Leaders and was elected as the corresponding secretary of the Franklin Township School Administrators Association in 2011, where she still serves. Her work has been recognized with the following awards, the Community Service Award from P.E.A.R.L.S. Inc. and Alpha Kappa Alpha. This entry was posted in Academic Administration, School Administration and tagged education management, educational leadership, guidance counseling, principal, School Administration. Bookmark the permalink.